Update: A previous version of this article singled out a version of Lu Mulana on Steam Greenlight as an illegitimate clone. It is in fact an official version of the game backed by Playism. Valve is many things in addition to being a video game maker. It’s savvy, in business and in design. It’s optimistic. It’s also woefully naïve. When the company announced it would open Steam Greenlight in July, it seemed to believe that people using the service would be reasonable, driven creators looking to grow legitimate projects. 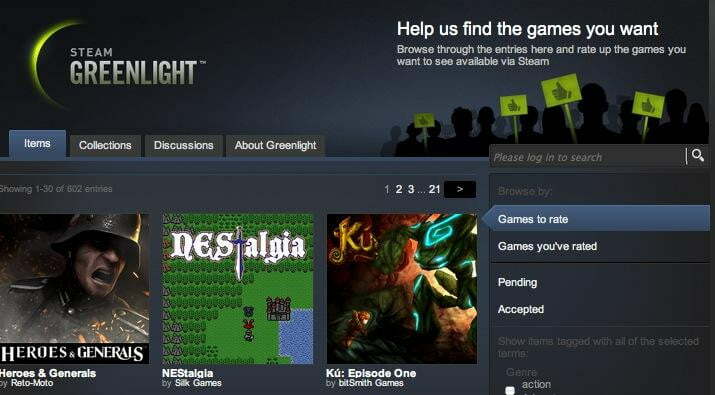 “Developers post information, screenshots, and videos for their game and seek a critical mass of community support,” was how Valve described Greenlight. It would be a video game-focused, Kickstarter-style crowd support tool built right into Steam for established game playing audience of 54 million. The utopian vision of a creator-fueled gaming market was here, free of the need to pledge cold cash up front! Valve forgot the golden rule in creating Greenlight, though: People are jerks. Within hours of Steam Greenlight opening on Friday, the service was flooded with fake projects, copycats of existing titles, and deeply offensive projects. The first day of Valve’s utopian business model turned into an Internet troll holiday. Steam user Satoru said on Friday morning that within the span of a single hour, he’d seen Left 4 Dead 3, five versions of Half-Life 3, two versions of Mass Effect 3, every Need For Speed game made, Command & Conquer, and Condemned sitting alongside racist games targeting black Americans as well as Indians. He also spotted a 9/11 game called Best WTC Plane Simulator. Valve’s doing the only thing it can: Banning users en masse. Anyone caught creating bum Steam Greenlight projects will be blocked from Steam community services for one week. As of this writing, the Greenlight homepage has been cleared of some detritus. When Eurogamer reported on the problem early on Friday, there were games in the running that were just pictures of Russian kids. The question: As more businesses look to introduce community support services like Greenlight, will those businesses have to police those services as a rule? Can people really not be relief on to behave themselves?